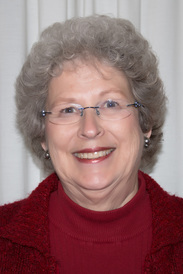 Marjorie Thomas was chosen as the Master Gardener of the Quarter for the fourth quarter of 2015! It was purely selfish – I wanted to become a better gardener. I had no idea I would have to sign a commitment form promising to become a volunteer for the LSU Ag Center. (That’s why we now make sure our prospective students are fully aware of their impending commitment to the MG program.) I am so glad I’ve honored my commitment – being a master gardener is one of my most enjoyable things. My favorite thing is the camaraderie – friends who share my love of gardening! There is never a shortage of conversation. There’s something new to learn as we each have our areas of interest and our passions and are willing to share info and PLANTS! Everyone has something to offer and can educate! Though as individuals we might know a lot, or think we do, there is always more to learn and other MGs and extension agents are excellent sources of information. We each have something unique to offer and that’s what makes the PHLMG so great. Our members are dedicated, caring, knowledgeable and generous of their time, effort and PLANTS! Marjorie has been, and continues to be, a most appreciated member of the PHLMG organization. Don’t forget to thank her for all her hard work and remember to think about who you will honor next quarter!